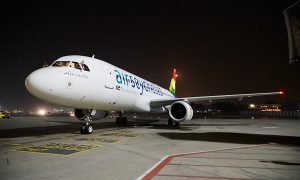 Air Seychelles, the national airline of the Republic of Seychelles, has significantly strengthened its fleet capacity by registering its first Airbus A330 aircraft under the Seychelles civil aircraft register. 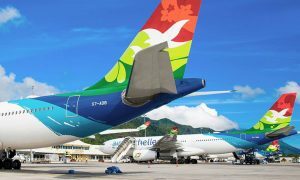 The aircraft, named Aldabra after one of the largest coral atolls on the planet, was welcomed at Seychelles International Airport this morning after making its first commercial flight under new registration number S7-ADB. Landing at 7.05am, the aircraft was greeted by a water-cannon salute and a delegation including Danny Faure, Vice President of the Republic of Seychelles, Joël Morgan, Minister of Foreign Affairs and Transport and Chairman of Air Seychelles, board members and senior management of Air Seychelles, as well as representatives from the travel trade. Minister Morgan said: “Moving Aldabra to the Seychelles register, where it joins two of its A320 cousins, is a brilliant achievement for Air Seychelles that shows the positive strides it is making to continue strengthening the business. “This development will open up more growth opportunities for Air Seychelles, enabling the airline to expand its operations and, by doing so; provide further support to the tourism industry. Aldabra was the first Airbus aircraft to enter the Air Seychelles fleet, in July 2012, and was previously registered under Etihad Airways in the United Arab Emirates. 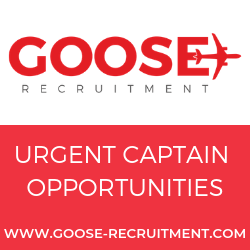 The aircraft is configured with 18 Business Class and 236 Economy Class seats and is operated on long-haul services to Paris Charles de Gaulle, regional flights to Johannesburg and selected flights to Abu Dhabi and Mauritius. Roy Kinnear, Chief Executive Officer of Air Seychelles, said: “With Aldabra, we have now transferred our full Airbus fleet to the Seychelles register in under one year; providing a clear testament to the strength of our operational capacity and the skill of our team. “This development lays a strong foundation for more growth, as Air Seychelles can now operate Aldabra, our biggest aircraft in terms of passenger and cargo capacity, to more destinations and explore the possibility of opening new routes to markets which were previously not accessible.